If you take a stroll out to the pond, you might be lucky enough to catch a glimpse of the Waddles family. 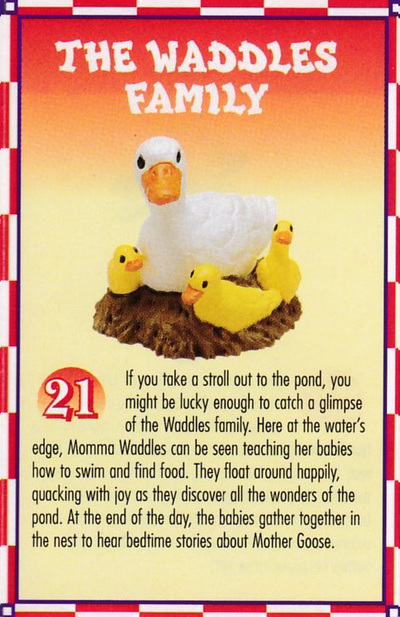 Here at the water's edge, Momma Waddles can be seen teaching her babies how to swim and find food. 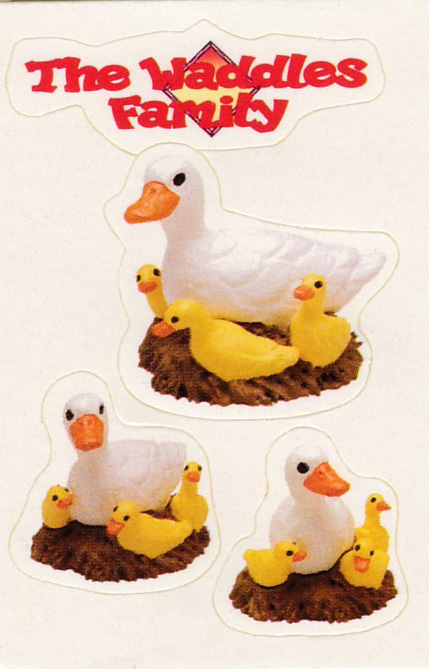 They float around happily, quacking with joy as they discover all the wonder of the pond. 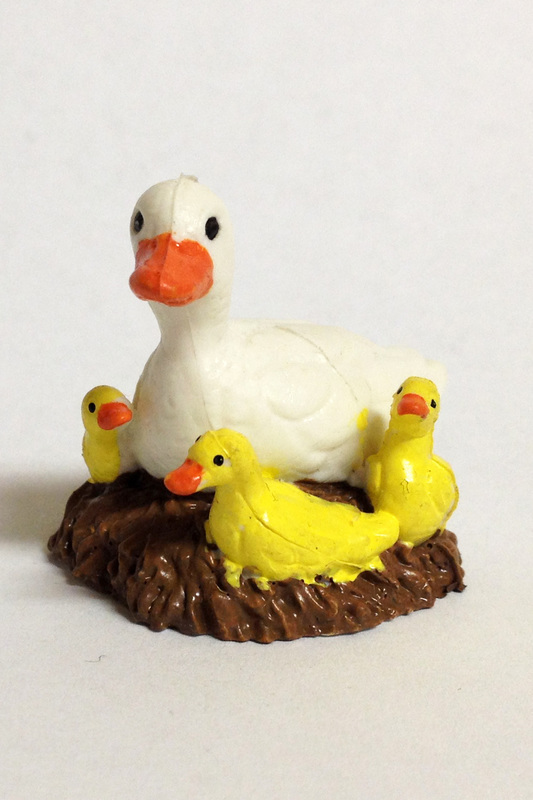 At the end of the day, the babies gather together in the nest to hear bedtime stories about Mother Goose.